A New Kind of Welcome. Four Points by Sheraton Houston - CITYCENTRE offers a great location on the corner of Katy Freeway and Beltway 8 (Sam Houston Toll Road). Within walking distance of our hotel is CityCentre, a hip destination for shopping, dining, and entertainment. Designed For You. Choose a king or two full-size Four Points by Sheraton Four Comfort Beds in one of our 171 guest rooms. Or enjoy one of our 81 two-room suites, complete with a parlor. Free High Speed Internet Access, including Wi-Fi in the lobby, keeps you connected. Work or Play. Our banquet rooms are great for a meeting, social event, family reunion, or group gathering. Work out in our 24-hour fitness center. 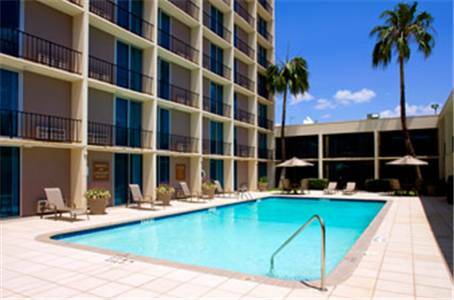 Take a dip in the outdoor pool. Grab a bite in our dining room or sip your favorite drink in our lounge. At CityCentre, steps from the hotel, the entertainment and dining options are endless! Go ahead and explore. Our hotel is also next to Houstons Energy Corridor and the Westchase District, which is home to multinational and local energy companies such as ConocoPhillips, BP America, Shell Exploration and Production, and ExxonMobil. Non-energy companies including Cardinal Health Care Inc., Sysco Foods, Accenture, The Dow Chemical Company, BMC Software, and Jacobs Engineering are also nearby. Join us in the lounge for a cold beer from our Best Brews program. Choose from unique offerings, some locally sourced, straight from the tap. Our lineup is updated seasonally with options like summer ales, Oktoberfests, and winter ales. Stop by our West Houston restaurant in the lobby for a delightful dining experience. You ll enjoy a contemporary atmosphere and a menu featuring American cuisine.